RESPECT OF TIME ONE DAY TIME YOU WILL NOT APPRECIATE. 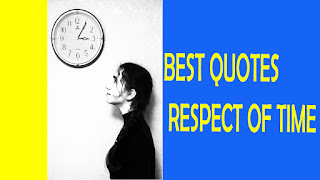 Example :- We all should respect the time,time is valuable gift if you have done good work in your life so your life will be happier with happiness if you do not this so in the coming time,you are life will be difficult in the future. Friends if you like this quotes than please comments.